Un article en anglais de Faun Rice pour Basic Income News résume la publi­ca­tion consa­crée au reve­nu de base dans le numé­ro 183 de la revue du Centre Barcelonais d’Affaires Internationales (CIDOB). Coll iden­ti­fies seve­ral key takea­ways from a com­pa­ri­son of these pro­jects. None of the expe­ri­ments assess the poten­tial beha­viou­ral change in rich or middle class basic income reci­pients. 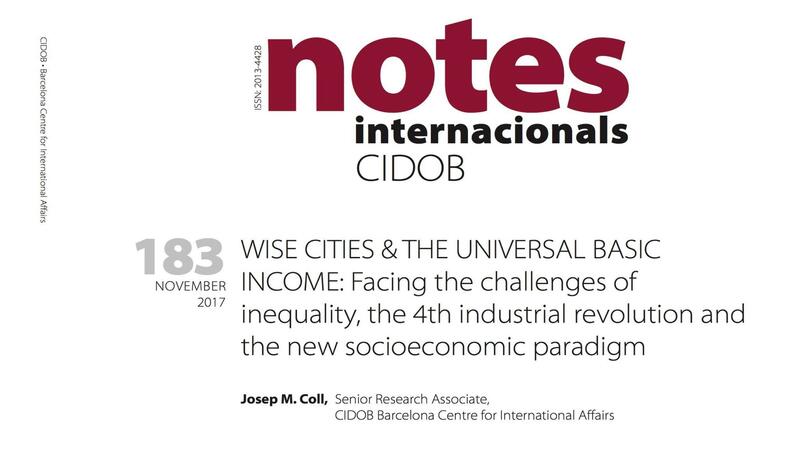 In addi­tion, multi‐level gover­nance may cause pro­blems for basic income pilots, but these issues may be miti­ga­ted as more evi­dence asses­sing the effec­ti­ve­ness of UBI builds from city‐driven pro­grams. Coll also ack­now­ledges that all of the expe­ri­ments lis­ted in his paper are from affluent regions. Source : BARCELONA, SPAIN : Think Tank Publishes New Paper on City‐Driven Basic Income, Faun Rice pour Basic Income News. Illustration : CC BY‐NC‐SA CIDOB. Suivant : Article suivant : Je travaille, donc j’existe ?